The $5,500 range proved itself yesterday as a temporary resistance for Bitcoin. 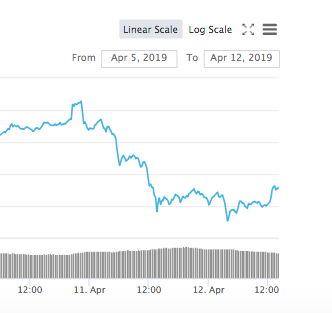 However, those who, during the bounce down to $5,000 rushed to argue that the upper mark constitutes a retracement have been faced today with a slow but steady green trend affecting the space. Altcoins are also making gains in the last 24 hours as reflected by the increase in the global market capitalization, shown in the chart below, extracted from CoinMarketCap. After bottoming at around $167 billion, now it is back slightly above $173 billion. Besides, Bitcoin dominance has somewhat stopped its recent upswing, being at 51.8% at writing time meanwhile yesterday it was seen over 52%. 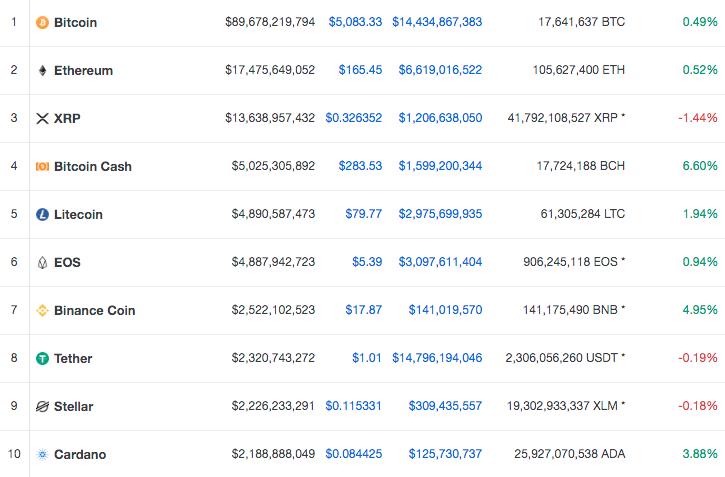 Out of the top 10 tokens by market capitalization, only XRP is in the real red today, with Stellar nearing 0% movement and Tether at a similar rate, which doesn’t really matters that much being a stablecoin. Meanwhile, Bitcoin Cash and Binance Coin are the best performers of the group, with gains of about 6% and 5%, respectively. Regardless, Bitcoin has been performing quite well today, as seen in the last bit of the one week chart below, where the rejection away from $4,900 is clear. When zooming out for the bigger 1 month picture, the case for those who stay bullish regardless of the latest pullback becomes even more evident. It should be taken in mind that some traders who are expecting lower lows also accounted for a temporary upswing as a next step in their predictions. On a different note, Maximine Coin (MXM) is again shedding the largest losses of the day, continuing a descending pattern which put an end to a rather unreasonable token bubble, taking into account that almost all trading activity for MXM comes from the same, not too well reputed exchange. Is this a bull sign for Bitcoin and Ethereum? Tether can’t be contrasted to Bitcoin - these are two different coins. Anyway, I’m impressed by Tether statistics. This is how key-stablecoin should perform. I am truly happy with recent Bitcoin soaring in price! Everything speaks about upcoming crypto healing! Tether numbers show it also!